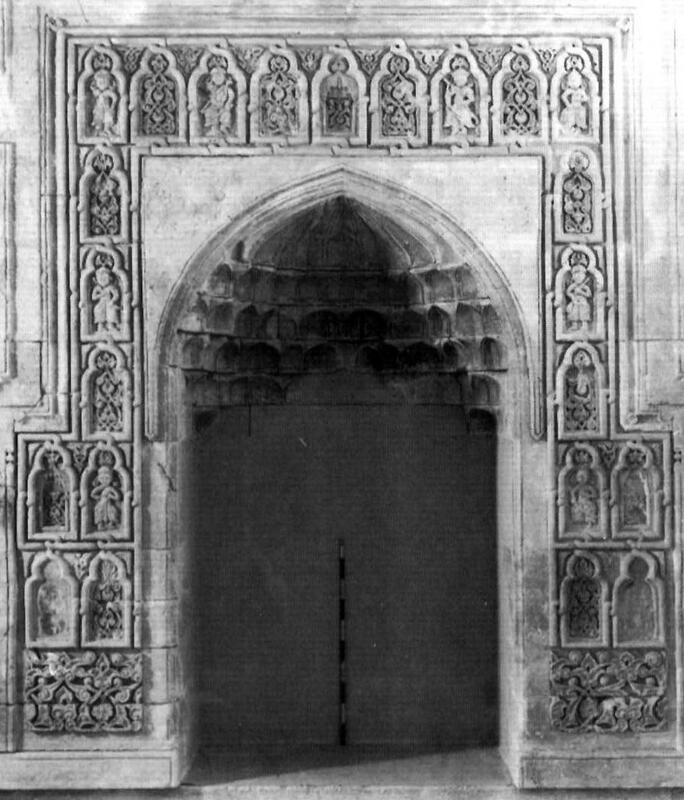 Carved stone gateway, early 12th century, Jazīrah (National Museum, Baghdad). The early 12th century so-called mihrab or prayer niche from Gu Kummet, near Sinjar in northern Iraq, was probably a door. It is unusual in being decorated by carved niches including warriors armed with a variety of weapons. This form of decoration was based on Syriac churches and monasteries in northern Iraq, many of which had comparable carvings of saints and monks (Nat. Museum, Baghdad, Iraq). 280. Reliefs on gateway from Sinjār, early 12th century AD, Saljūq, National Museum, Baghdad. (Ric I). The varied equipment of a Saljūq regional ʿaskar is probably illustrated on an early 13th century carved gateway from Sinjār (Fig. 280).